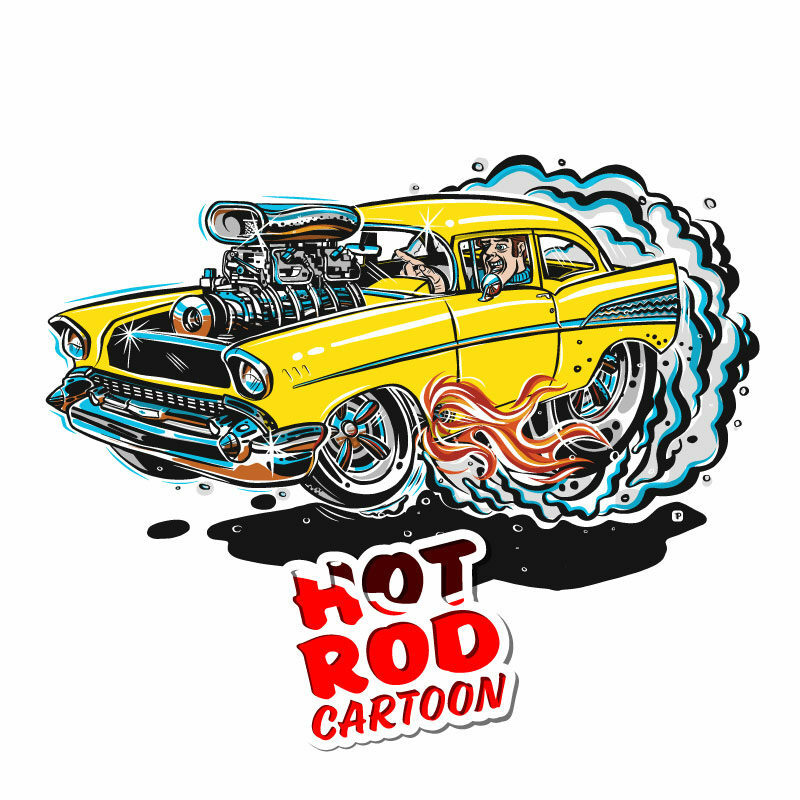 What car greatly represents the era of hot rodding, why the 1957 Chevy of course. 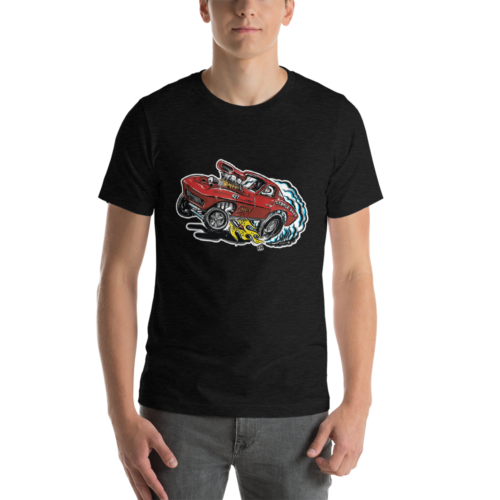 Here we have one doing a burnout. 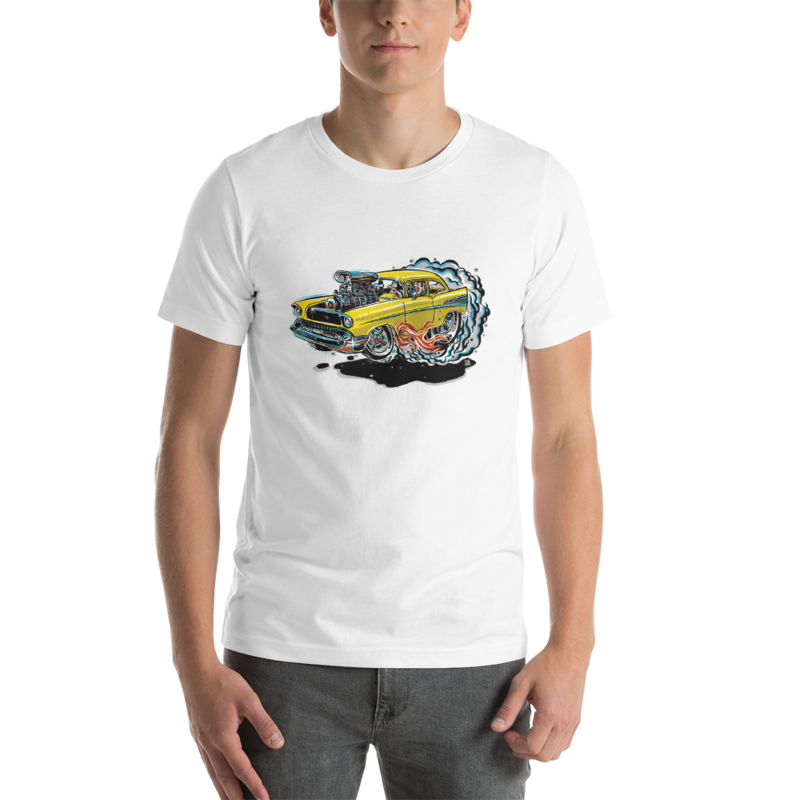 If you like movies like American Graffiti then you will enjoy this 57′ Chevy T-Shirt. 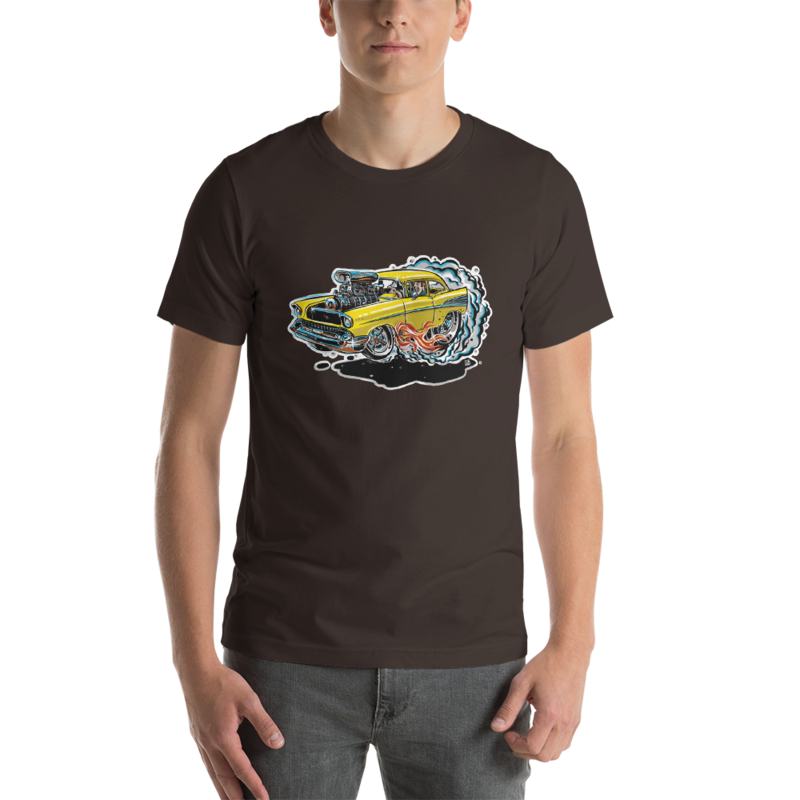 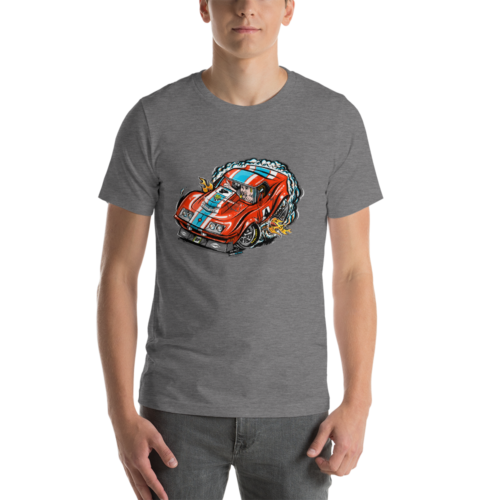 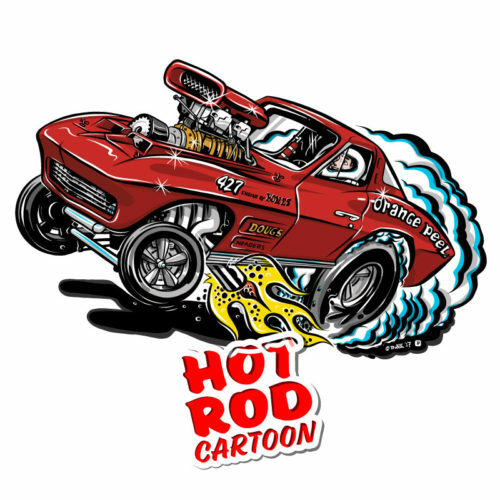 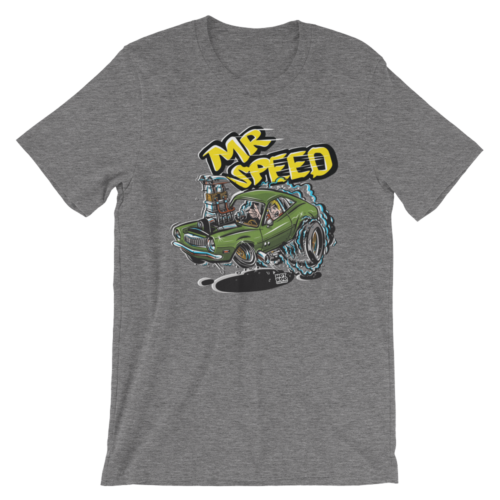 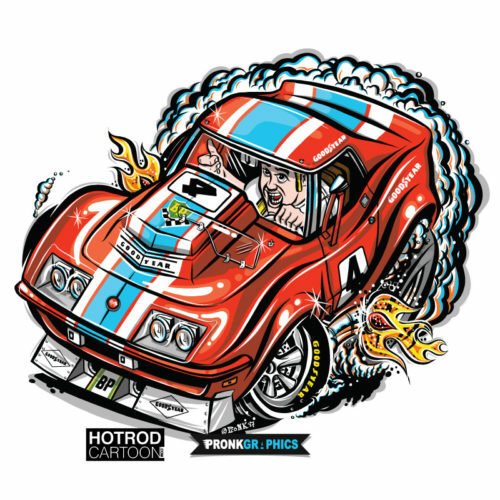 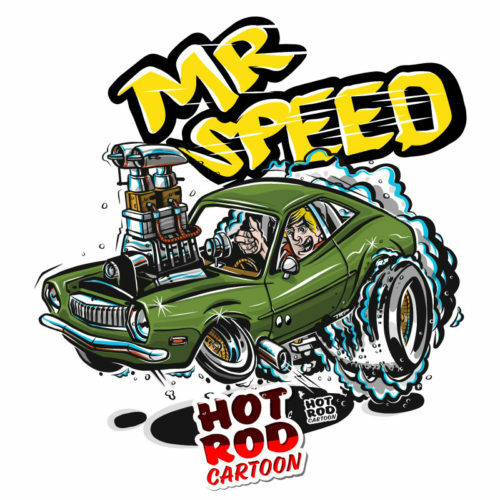 Any gearhead will look great wearing this 1957 Chevy Bel Air hot rod cartoon t-shirt.